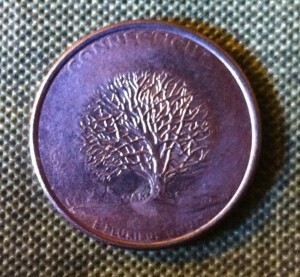 Came across this going through a cigar box of State Quarters. 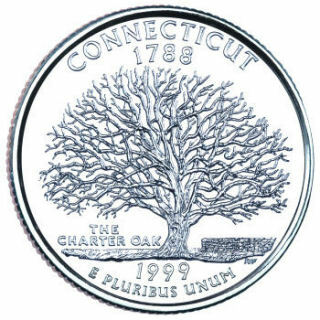 This Connecticut issue seems to have a much younger Charter Oak on its reverse due to a really — excusing the pun — striking example of what a bit of grease will do to a die (a.k.a. 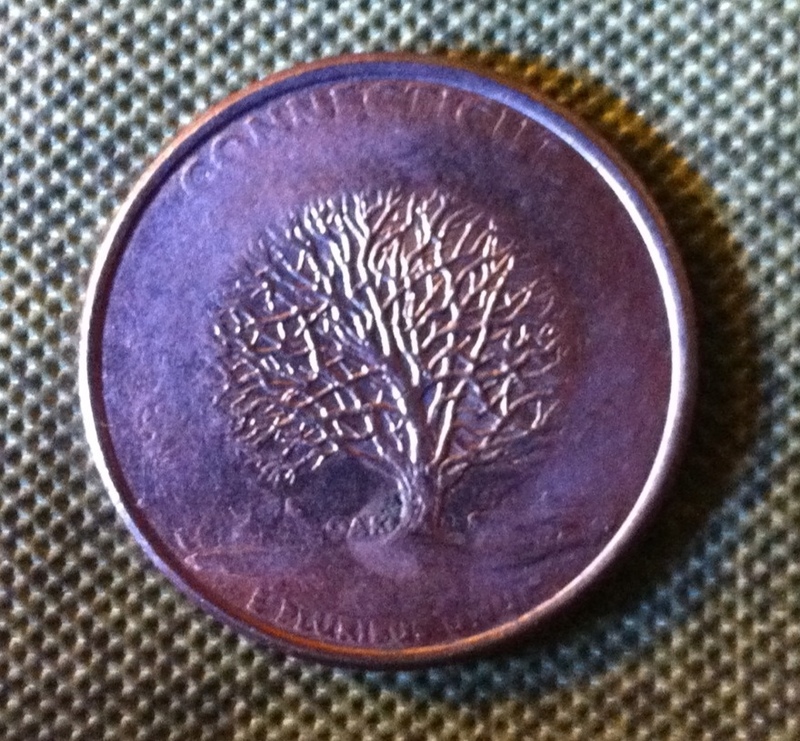 “struck through grease”).